This outdoor flush mount will update the exterior of your home with its eye-catching design. Featuring a black finish and clear seedy shade(s), this fixture will accommodate a variety of outdoor of dicor styles. With its easy installation and low upkeep requirements, this outdoor flush mount will not disappoint. This outdoor flush mount will update the exterior of your home with its eye-catching design. Featuring a weathered bronze finish and clear seedy shade(s), this fixture will accommodate a variety of outdoor of dicor styles. With its easy installation and low upkeep requirements, this outdoor flush mount will not disappoint. 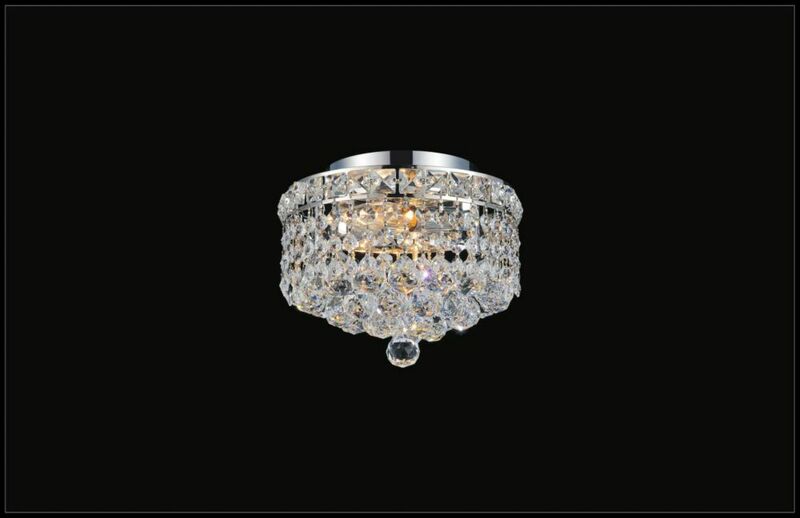 10-inch Round Flushmount Chandelier Light Fixture in Polished Gold is rated 1.0 out of 5 by 1. Rated 1 out of 5 by frustrated425 from Don't ever buy this light! There is a manufacturing defect in this product. The light is supposed to hold two light bulbs. However, the way the cage is designed, only one light bulbs can be installed. I took the light back to the store today and have the specialist checked the light, the specialist confirmed that there is no way two light bulbs can be installed. It was a waste of time. Home Depot should stop selling this light and have this light removed from this website.